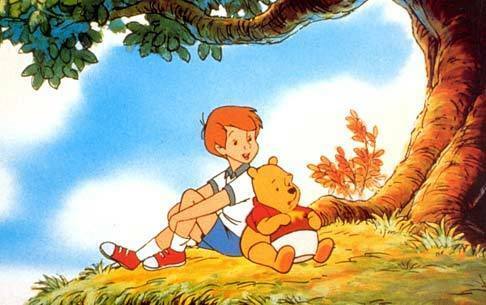 Winnie the Pooh and Christopher Robin. Winnie the Pooh and Christopher Robin.. Wallpaper and background images in the 곰돌이 푸 club tagged: winnie the pooh christopher robin disney animated character. This 곰돌이 푸 photo contains 애니메이션, 만화, and 만화책.